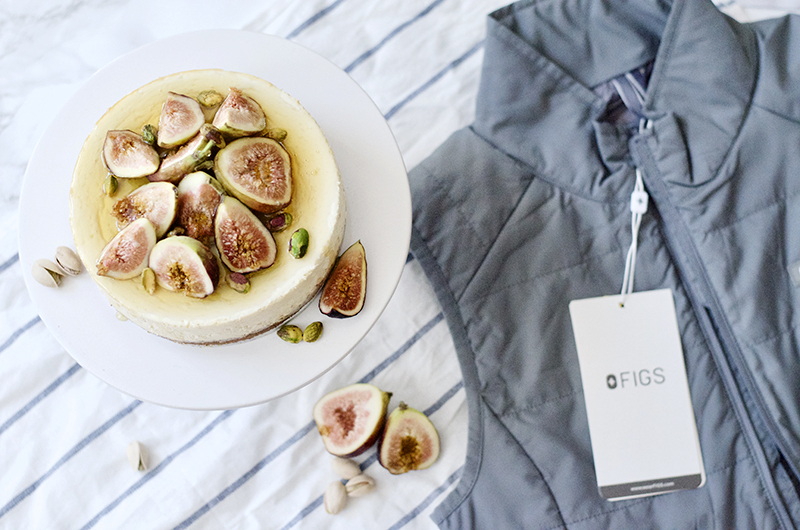 Italian Ricotta Cheesecake with Figs and Honey + wearFIGS Giveaway! I started off 2nd year with the emergency room. Since I ended the last 2 weeks of intern year on VA nights, this means I basically spent 1 month in scrubs. Being a second year in the emergency room is way better than starting off as a brand new intern because I actually know how to order things, and you get to see more complex patients. It's weird saying I'm a 2nd year. An ob-gyn consult for a vaginal bleed literally asked if I was really an intern since I seemed to know a lot for a July intern ("um, just so you know, your signature says you're a 1st year still.") Whoops - gotta change my signature. I am not and never will be an emergency room person - if you like a fast pace, tons of action, seeing people quickly then sending them inpatient or home, and making up the plan as you go, then emergency medicine is for you. I prefer to have time to sit and think, round for hours in my patients, deliberate on plans, see the same patients day after day, and write super long notes - hence I'm too "internal medicine." The upside about ER though is not ever worrying about what to wear. Scrubs, scrubs, scrubs, vests, jackets, scrubs is your uniform. Scrubs look great if you're muscular, 6 ft 2 in, and fit in them like B. They don't look great when you're 5ft and petite and swimming in them. Especially when I wear my Texas county hospital scrubs (where an XS there somehow = women's size L for tall people), and I have to roll the waist four times over. So while B looks like a surgery attending, I look like a high school kid wearing clothes 2x too big (which doesn't instill a lot of confidence when you have a huge 300 lb aggressive male patient with alcohol and drug intoxication in the ER). Luckily that's what wearFIGs is here to fix. I'm loving the women's vest from them - it's versatile enough for when I wear scrubs on 28 hr call / night shifts (plus it's fitted so you can see I do have a waist), yet stylish enough that I can pair it with my Internal Medicine work clothes for daytime. It's thin, light, and has 5 pockets to hold all my patient's notes. Anyways, I'm sharing this wonderful cheesecake I made for an "after 4th of July" party (since I had to work the A side/trauma side 4th of July night!) and to celebrate finishing the ER forever (whoohoo!). 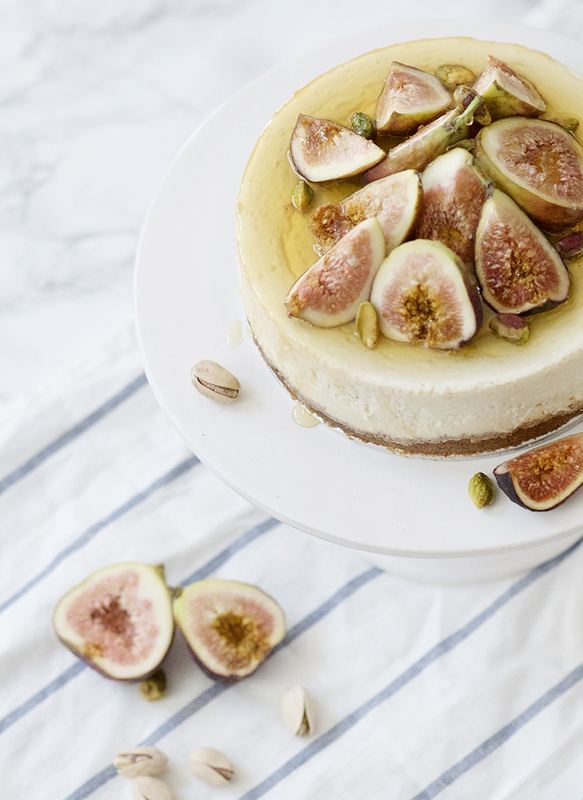 It's an Italian ricotta cheesecake adapted from Billy Parisi, topped with delicious honey and figs. It's easy to make and super classy! GIVEAWAY: wearFIGS and I have partnered up to for an amazing raffle - one lucky winner will get a set of scrubs or outerwear (any gender)! You just need a shipping address in the US. Giveaway ends July 24th, 2017 midnight - winner will be chosen randomly! Best of luck to all! CRUST: Preheat the oven to 350°. Crush the graham crackers in a food processor until finely ground. Mix the graham cracker crumbs, melted butter, sugar, and cinnamon together in medium bowl until combined. Press onto the bottom of your spring form pan to make a thick crust (I used a 6 inch). Bake for about 8 min, until golden brown. Set aside to cool. CHEESECAKE: In a large bowl with an electric eggbeater, beat the cream cheese, ricotta, and sugar until light and fluffy, about 4 minutes. Add your eggs and beat to fully mix. Add lemon juice and cornstarch and mix until combined. Pour the batter over top of the crust. (Optional: make a water bath by placing the springform inside a baking pan filled without 1 inch of water so the cheesecake bakes evenly to avoid cracks in your cheesecake.) Bake for 40 minutes or until the center is slightly loose. TOPPING: Cool to room temperature on a rack and then cool completely into the refrigerator. 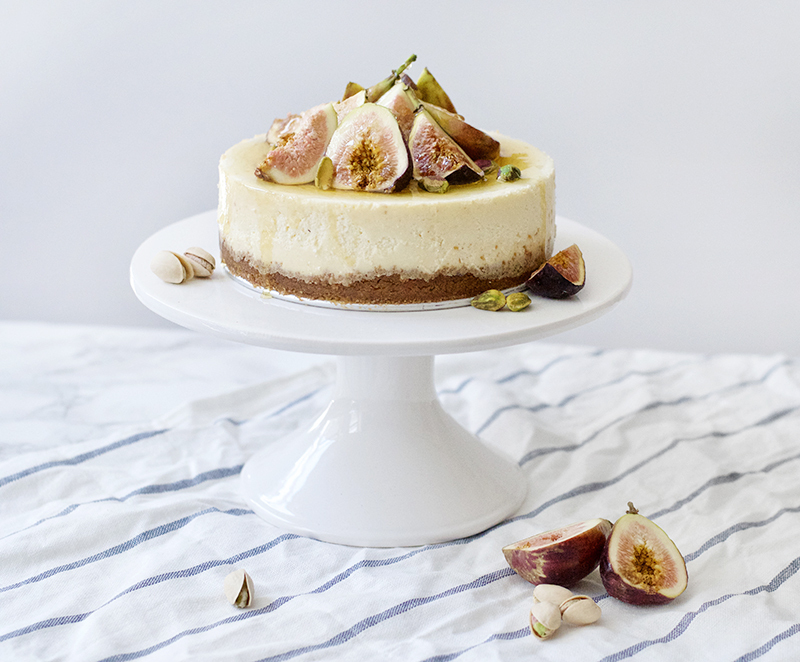 Garnish the top of the cheesecake with fresh sliced figs, toasted pistachios, and honey. ED was my most miserable rotation! The patient population is just so unhappy. Kudos to the ED docs out there who have the patience for their patients! Love my Livingston pants- the yoga waist band is to die for. Perfect for 12 hr shifts and you need pants that move with you and stay put. I'm still eyeing the field vest to gift the bf. I also love the simple version of the fig tops (compared to the ones with two low pockets) - they look better tucked in. :D I make up for the lower number of pockets by getting the skinny pants, which have pockets galore!! By the way, that cheesecake looks perfect! Wow the cheesecake looks really good. Would love to try it. Glad second year residency is coming along smoothly and you have the attire to match it. LOOOKs delicious!!! The vest would be awesome! If this cake were a person, I'd make love to it. LOL! WOW. Your photography is just stunning. I've been following your blog for a long time now and I'm so happy you kept the Obsessive Cooking Disorder name. I remember some people were giving you a hard time about it. I'm glad you held fast! Omg!!! This looks absolutely amazing!! 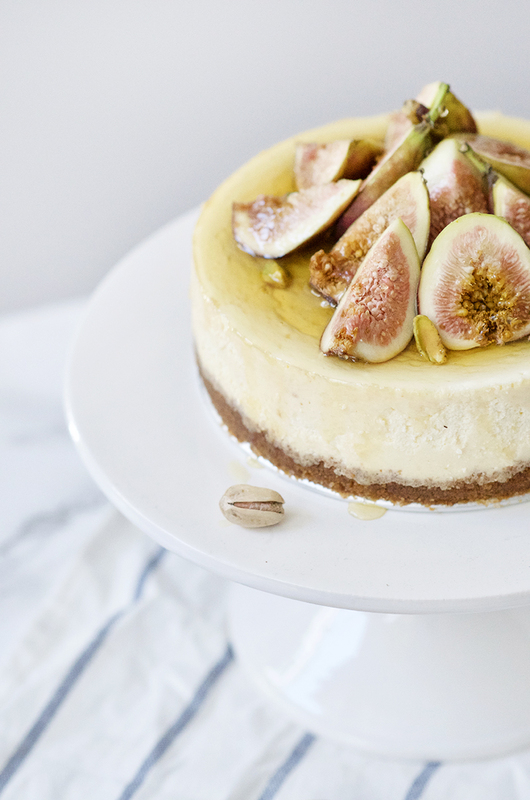 I'm addicted to figs and cheesecake so this is the icing on top!! Love love love!! Love the scrubs. Wish I had a pair to try while I work the night shift! 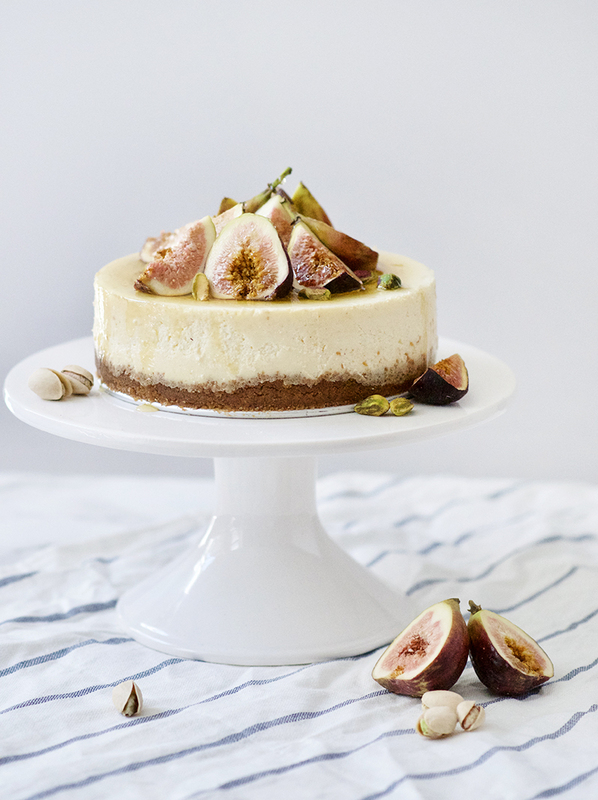 i have never tried a figs cheesecake but this looks delicious... and pretty too. My favorite item from figs has to be their Yola scrub pants! I have never received scrubs that fit me perfectly (I'm 5'4) and are at that comfort level. The Yola scrub pants have to be my favorite, especially since they can be ordered in the petite size. Being 5' 1" it's hard to find scrubs that fit so perfect! Plus they are so flattering and soooo soft! Loving the Livingston "Tall" pant! This is the first time I've heard of wearFIGS, but it sounds like an amazing concept! The scrubs I wear (when I'm doing in vivo work) are stiff, hideous, and ginormous... I can totally relate to having to roll the waist multiple times, even though I ordered a women's small! I love the look & style of that wearFIGS vest!! Sounds like it is practical too! Looks super delicious. I'm going to have to try and make this. this is a most impressive cheesecake! i haven't had fresh figs very often, but i do enjoy them, and i love pistachios! this is a beautiful cheesecake! figs are so yummy, I tried one for the first time a year ago and it was a amazing :D can only imagine they must be delightful on cheesecake too!